Ruselectronics Group (part of the state hi-tech corporation Rostec) has developed a mobile super-computer with a capacity of 2.2 petaflops that can find applications in the defense and space industries, the Rostec press office reported on Friday. "The 1.9x1.35x1m computing module allows reaching a record peak capacity of 2.2 petaflops for computers of such dimensions and a data storage volume of up to 2.2 petabytes," Rostec said. 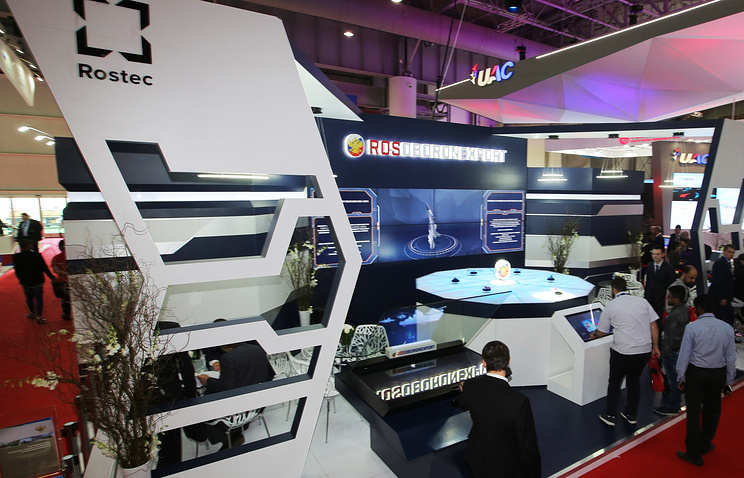 As the state hi-tech corporation noted, "organizations of the defense sector and the space industry, technological parks, research institutes and educational institutions are among potential customers of the new product." The super-computer has a system of liquid cooling (its blocs are immersed into a special container), which "allows creating mobile computer centers based on standard container platforms outside specially equipped premises," the press office said. This type of the cooling system features a low noise level, dust and humidity protection, and also fire resistance, Rostec added. The new super-computer consumes 40% less electric power compared to its analogs on the market. Rostec Executive Director Oleg Yevtushenko was quoted by the corporation’s press office as saying that the computer created by Vega Group (part of Ruselectronics Holding Company) can be used in outer space "for automatically identifying objects in satellite imaging, modeling spacecraft and assessing the condition of their onboard systems." Super-computers can also be used for computations in robotics, artificial intelligence and vision processing, neural networks of deep learning, big data processing, etc.